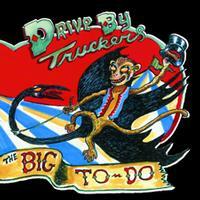 The Big To-Do, the band's tenth album and the first on ATO Records, features 13 new tracks from the Drive-By Truckers and was produced by their long time producer, David Barbe (Sugar, Bettye LaVette). "It's very much a rock album," says Patterson Hood of the Trucker's new release. "Very melodic and more rocking than anything we've done since disc two of Southern Rock Opera."